None of the local papers appeared to pick up the story. Neither of its two major unions, IAM 751 and SPEEA, appeared to notice. The announcement was made in Tangiers with Moroccan officials in a signing ceremony with BCA CEO Ray Conner. Ordinarily the move might have been expected to attract the attention of the unions and, in this highly charged election season, of politicians running for state and national office. But there was barely a peep, despite ample international press coverage and even a YouTube posting of the signing ceremony. Perhaps it’s a sign of the times that global aerospace clusters are no longer as incendiary as they once were. 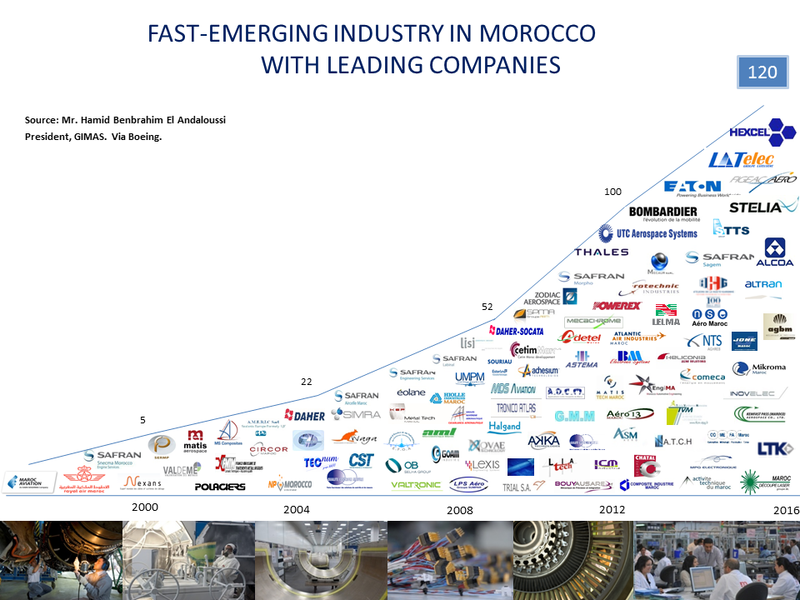 Boeing’s Washington (DC) announcement came just days before its Oct. 3 supplier forum in Seattle that focused on Morocco as a place to do business. Under the agreement with Morocco, Boeing pledged to bring 120 suppliers there. In response to e-mail questions to Boeing this week from LNC, the company declined to go into details about the pledge, how it will be fulfilled and over what period. “Morocco’s Government, working with Boeing, has developed an incentive package for Boeing suppliers that is designed to enable Morocco to attract more aerospace manufacturing and support Boeing’s competitiveness,” Jessica Kowal, a company spokesperson, said in a statement. 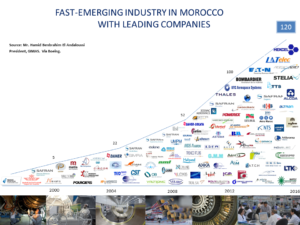 “Boeing also will advise the government through a new workforce training program in Morocco. However, in LNC interviews with two people who attended the Oct. 3 meeting, they said Boeing officials revealed that the 120 companies will come from across the global supply chain, not just the US or Boeing’s cluster of suppliers in Washington State. The intent is also for these suppliers to expand into Morocco, rather than close or shrink existing operations, the two quote Boeing officials as saying. Boeing’s Current Market Outlook forecast 6.1% annual growth during the next 20 years for Africa. 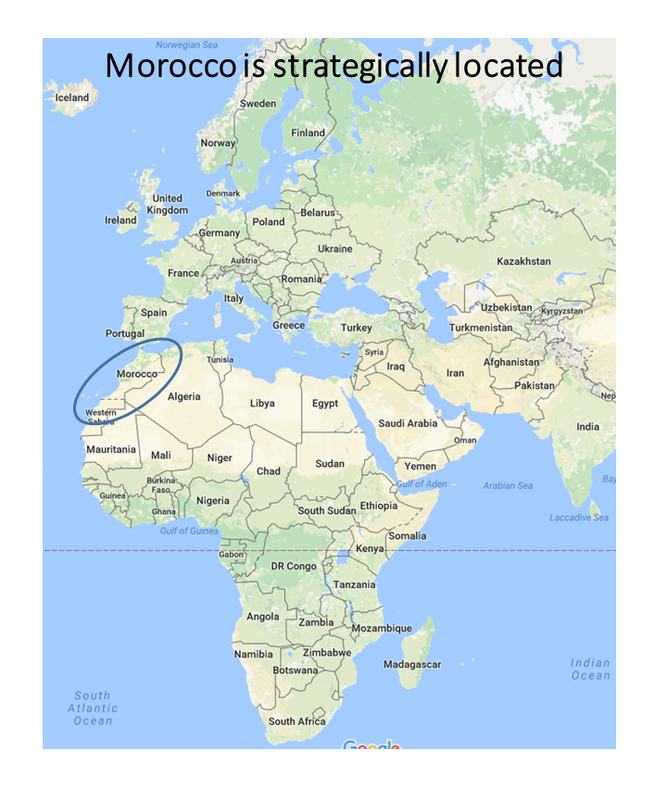 While Morocco is geographically well positioned to serve this growing need, the attendees at the Oct. 3 Boeing supplier meeting said officials plan to export products globally from the country. Supplies can be delivered to New York in seven days and the US West Coast in 30 days, one of the attendees quoted Boeing officials as saying. Bombardier acknowledged its move to Morocco was cost-driven. The two people attending the Boeing event said officials revealed that the monthly living expenses for a typical Moroccan are $400 and even lower, at $250, for minimum wage earners there. One of the attendees at the Boeing meeting said Moroccan officials view Turkey, Vietnam and Malaysia as the low-cost competitors, but with less stable governments or local conditions. A dictatorship is always more “stable” than a democracy like Turkey. Turkey has a strange president at the moment just like the US has a strange candidate. The problem with such a kind of stability is the next king and no kind of independent courts. Maybe Marocco will attend the EU earlier than Turkey. The Queen of the more or less UK is leaving so the EU has space for another monarchy. The difference is that a candidate is not a President. Strange is not quite how I would characterize either one of them. One is half way to a dictator, the other will not come close. All well and good until the bean-counter that thought of this is told to factor the cost of rework into their sums. Upon which its not all sunshine and light. RR have recently abandoned sending its software off-shore after a 12 month disaster. The idiot behind it has been given the boot and the work is going back to the “high-cost” area. But cost “efficiency” and regulation are great!!! Brought to you by people like that guy who posts here sometimes going on about how planes are too danaging to the environment. Have to laugh, we too get Offshore made software, then spend the next 4 or 5 years cleaning up the mess. Good news is it keeps people in the US and Overseas employed! Africa deserves strong economic activity bases, and politics aside, I hope that this succeeds.